Several ballot proposals for Michigan’s 2018 election cleared a hurdle today. Danielle Atkinson is with MI Time to Care. The group’s ballot proposal would require employers to offer earned sick leave to all full-time and part-time employees. If passed, employees would earn one hour of sick time for every 30 hours of work. This is the third time this issue has been before the Board of State Canvassers. Previous efforts did not make the ballot. After a recess to fix a technical problem with the affidavit of their proposal, Voters Not Politicians’ proposal passed. 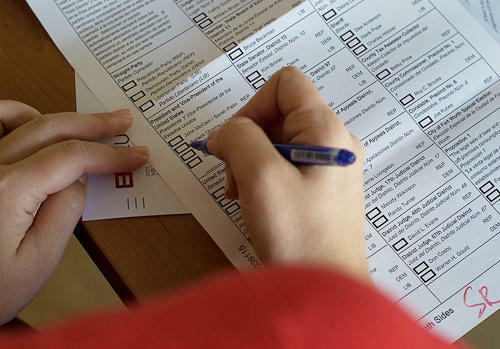 The Voters Not Politicians’ proposal would revamp the way the state draws its district lines. Katie Fahey is president of the group. She said it’s a nonpartisan, grassroots effort that wants to give voters back their power. One of several marijuana legalization proposals passed. Abrogate Prohibition Michigan would legalize the agricultural, personal, recreational, commercial or other use of marijuana.